We use a wide range of instrumentation and data processing for hydrographic surveying. Hydrography is the description and analysis of physical conditions, boundaries, flow, and related characteristics of surface waters. 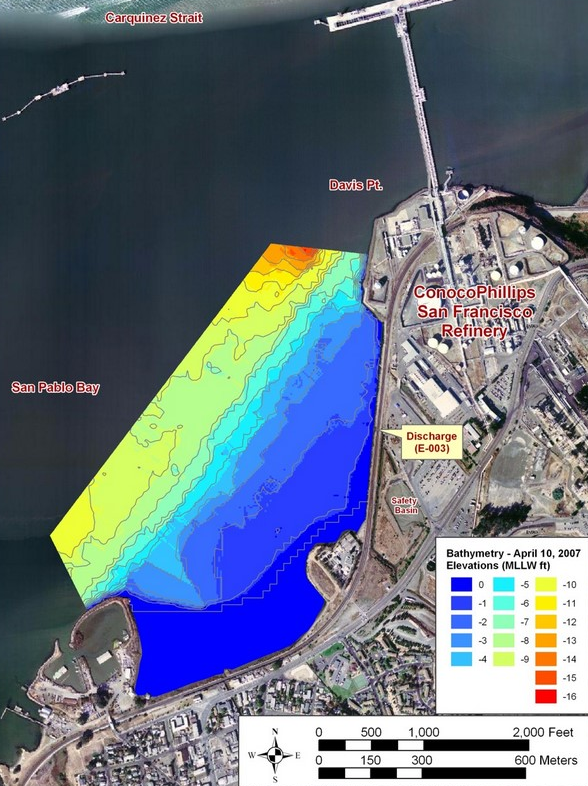 Hydrographic surveys are conducted to map bathymetry (sounding or measuring depth) of bodies of water, measure current patterns, and characterize bottom types. Typical applications include pre- and post-dredge surveys, mapping of essential fish habitat and submerged aquatic vegetation, and modeling data for process studies. Our expertise includes the use of echosounding, acoustic Doppler current profiling from vessels autonomously, sub-bottom profiling, sediment and plant classification using acoustic methods, SCUBA surveys, sediment collection and analysis, and spatial analysis using geographic information systems (GIS). We work closely with manufacturers of scientific echosounders and bottom recognition software. We also integrate our expertise in the use of Environmental Systems Research Institute, Inc. (ESRI) ArcView 3.2 and ArcGIS 10.3 GIS applications, the standards for GIS mapping and spatial data analysis. Our equipment also includes a BioSonics DTX split-beam echosounder, a Kongsberg Mesotech M3 multibeam sonar, a dual-freqency Imagenex sidescan sonar with Chesapeake Technology mosaicing software, Sontek and Nortek acoustic Doppler profilers with current and directional wave analysis software, and survey grade GPS equipment with centimeter accuracy using Novatel Waypoint software.